My athletic (younger) sister the nurse is embarking on a new adventure. This is the same sister who organized us for the Sacramento AIDS Walk last year. This year she’s participating in the NorCal AIDS Cycle … a 330 mile, four day event in beautiful northern California to raise money for HIV/AIDS. She’s also started a blog to keep us all informed on her training and to help keep herself motivated for the training. She’s riding with Team CARES, representing the clinic where my son receives support. I wish I could participate, but I’ll have to be content being a cheerleader from the sidelines. 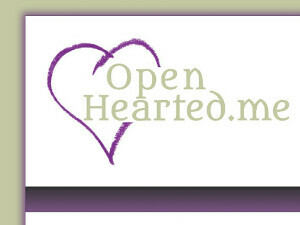 I love the title for her blog OpenHearted. It describes her perfectly and her caring attitude is what makes her such a wonderful nurse. Why not subscribe to her blog and you’ll receive it right into your reader or email! You can stay up on her training and what’s being done for HIV/AIDS. Check it out! Last week I saw some alarming statistics for the U.S. While the statistics for estimated rate of annual HIV infection remained stable for the reporting period (2006-2009), the rates for HIV infection among young people are increasing significantly! For the same reporting period, the rates for infection among young people 15-19 years increased 25% and 31% for persons aged 20-24 years! Current local stats in urban areas are bearing out that increase. S-c-a-r-y! And that’s just the United States! We can’t become complacent and we can’t not talk about this! I live in a rural area and HIV/AIDS is not talked about in the public schools. Well, abstinence is talked about. Yet these same kids are sexually active, having babies. Last year, a 12 year old in our town had a baby! It’s the same age group with increased HIV infection. This is a huge public health issue here in the U.S. and we must face it. Obviously, this is a topic that’s important to me. A generation of no new HIV infection is within our reach! But we must make sure that everyone, including our young people, are informed and have access to what it takes (condoms!) for reducing their risk of HIV infection. By the way, do you think my sister and I look alike? Her picture is on her site.